The World Mission Society Church of God (WMSCOG, in Korean: 하나님의교회 세계복음선교협회) is a religious group from Korea. Before taking an in-depth look at their beliefs though, it will help us to understand the culture and mindset in the country out of which this group arose. Korea is full of fringe religious groups. This is also the country where both Dahn Yoga and the Unification Church came from. Now, there is a new group, the World Mission Society Church of God. there are 20 of us who just left the wmscog church of god in los angeles CA usa we have been in this church between 10 to 15 years only to find out that we have been lied to about our whole history. our doctrine has been changing as the church has grown. I am so glad that you are finally out. What was it that helped you to see that you were being lied to? Are there any insights that we could use to get our loved ones out? That’s the one I went to! The one in Reseda. It’s just crazy to me, gave me the creeps. I never went back! Did you get them out yet? This is bad & certainly not of GOD. Reseda, CA? They have a big church there. Complete with playground for kids. minimi it’s all lies. If your smart you will get out. ASH did not fullfill what the church claims that he did. He did not claim that there was a god the mother. I’m sure he taught in the NCPCOG about Christ till his death in 1985. In fact they told us that ASH and mother where never physically married (to other people) but they were, ASH never had children but he did, his mother and father where Buddhist and never believed in god but in fact they died as Christians. lies lies lies. How can there be truth when there are so many lies? So ASH & Zahng were physically married? But where is proof of that? Is that the reason she still has a ring on her finger even though she divorced her first husband? Because when I asked a missionary once when I was still a member, I was told it was given to her as a gift by her “children”. And also where is proof that his parents were Christian when they died? How do you know all of this for sure Ed? Ed, my wife was seduced by the San Diego WMSCOG. Could you and your friends help me get her straightened out? Please help. I know of a person who is in that church for a decade and would like to try help her get out. We had suspicions of the church not being genuine this year and accompanied her to a session. Clearly we had been ignoring the signs. Indeed it is strange and cult like. Unfortunately we tried the tough love approach and we are being treated as persecutionists and we are receiving the silent treatment. How did you manage to see the truth? Tough love, as you have discovered, only succeeds in pushing members further into the group. Real love is what you need. Keep the lines of communication open even if it means eating humble pie at times. Be the bigger person. When you realize the conversation is becoming confrontational stop! Make an apology. (I wasn’t trying to upset you, I’m sorry.) A better approach is to remind them about the good things in their life prior to joining the group and ask them simple questions about the problems they have encountered in the group. What I have discovered over the years is that most of the time it’s the group itself that will mess up, cause someone to start questioning the teachings, and eventually cause the member to leave. it’s better if the member decides to leave on their own instead of being pushed out by these manipulators. Be patient. You are in for a long and bumpy road. Keep your faith strong, keep loving them, and be there when they come out. If there’s no where for them to go to when they come out they will stay in the group longer than they need to. Try to find a way to talk to her. She is thinking that anything negative she hears about what she knows as truth, is a ploy to take her faith away. So you must think differently. Do not make accusations or seem like you don’t believe. Keep neutral. Control your panic. Remember she will receive all your negative emotions and words in two ways; your words are not from god so they must be from the devil, and since you do not hear the words of god you do not belong to god. At the same time it’s being reinforced with a Bible. Try to send her lots of emails and voice recordings and pics of you and the kids. They will take place of the thoughts of a heavenly family because this is her focus now. Do you understand what I am saying to you? You should get some professional help with what your going through. It is complicated. It’s a battle that overcame my marriage and I introduced my wife to the the church ten years ago. I could not even talk to her about what was going on within the church leadership. I was bringing to her attention things going on within the church. Like what members were saying or doing to each other using sermons to make examples out of people and things that should not be taking place in the house of god. My son was so sick one time from asthma. He was short of breath. I told her we needed to take him home to rest and she would not go and we fought. At 12 am I was in the emergency room and he was not breathing. This s**t happened twice. If anything, myself or the kids (which always was me) interfered with her church duties, she would always tell people “my husband does not want me to study,preach,teach” etc. When in fact it was that I needed time to work and the kids should come first. More or less these where factors interfering with her faith coming from the devil. She put a space between us because of how her faith was affecting her thinking. Don’t get me wrong, I was a member too, but for some reason many people lose the ability to use their common sense and no longer see the whole picture. Some type of fear or worry, like you will not go to heaven, is the motivator. It even comes to the point where members come to hate life on earth, thinking if they complete god’s work the world will come to an END where there is no more pain or sorrow. And there is much more to say about this. There is no doubt these types of messages are putting people’s lives on hold or at risk. For example, many drop out of school, divorce, sell there homes and stop planning a future. church church church. It’s the response of a doomsday message and every man for himself. And just think, we were both members. This extremism is why the divorce rate is high in the wmscog. This is all psychological. Go get help and I hope my story helps. @ED, what made you leave a church you had faith in from 10-15 yrs, why did it take you so long to see that they were lying to you. The bible says many will fall in the last days, can this be the case. Did you and the 20 who left, verified everything and made sure it was not just rumors, before you decide to walk out. Can you give more details. Is there really a Heavenly mother like they claim, please answer back, thank you. I am just seeking for the truth, please help! hi everyone, you might find it easier to converse in our discussion forum. ED…you have me in confusion, you stated above that IF SARAH REPRESENTS GOD THE MOTHER THEN SHE WOULD HAVE TO SLEEP WITH HER SON ISSAC TO PRODUCE THE CHILDREN OF PROMISE. Is this a typo error or is this what you really meant to say, if so could you please explain this to me because it does not make sense to me. correct you know the story of Abraham is god, Isaac represents jesus christ the seed of promise and Sarah represents god the mother in WMSCOG right. So UmSooIn claimed to be god and ASH wrote that Sarah is Isaac’s mother. How can she sleep with her son Isaac to give birth to the children of promise? 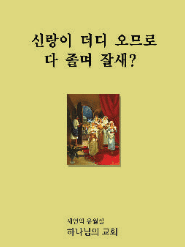 Please read Problems with new Jerusalem the bride and women’s veils by AngSahnHong and WMSCOG Vs Ji WonTak court case. The Church is telling all kinds of misinformation, making it hard to discern. Plus if you’re kind of new these last few years, you may not know how this court case and that book contradict our history, but this totally contradicts the history we were taught. If you contact this site, I will have the admin help us get in contact with each other. It may be too hard to understand over the internet as it is very detailed and somewhat complicated since WMSCOG is putting so much misinformation out there. I know you are hearing all kinds of things about us. It’s not true, none of it and every church is saying different things. They destroy families including mine and I can go into great detail about how this was done over several years by raising my wife up and beating me down and making an example of me and how this division works. So this is a warning to everyone, if your spouse is a good gospel worker and you are not, be warned there will be a separation process to put division between you. What? The green book was written by the general Pastor? Then why is it that it’s written that the author was ASH at the front??? Pay attention look at la zion you will not see foreigners holding positions that have to do with running the church or doing books, handling money. 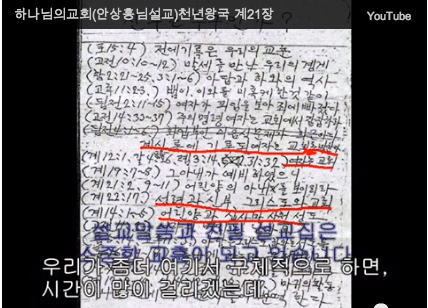 Has anyone ever seen a pastor that was not korean? NO and you will never see one. They are very aware of this yet they do no share the info. We have heard little hints from them here and there and their childern that are now teens, who where only 3 years old when I first saw them seemingly know more than us to. Pay closs attention and you will notice many things. And pay attention the sermons and their meanings are changing. One example, there was a study 2300 days and nights it was about the end taking place in 2012 there is no doubt this is what was taught. But now instead of that study refering to the year 2012, it now refers to the day of atonement. This is BS. Open your eyes. Does not the Bible teach God will not change his ways or his mind. I was helping a sister with her emergency pack and a young foolish deacon rebucked me telling me we are in a “more mature understanding now” and we dont want to push the idea of 2012. He has been a member for about three years, what does he know? I will tell you he knows a new teaching. After that a new missionary came out to give me the third degree. When I told him mother said people should be packed for the year 2012 and for the last days, he said that I was spreading lies and mother never said that. More BS. I have been hearing it for 14 years. Who’s blind now? Open your eyes and remember what you learned. When we came from Sunland we where all close. What happened to all the old members? I will tell you, they know the old way things where taught and have become a danger to the church and their change of doctrine. We also where told when we loved each other and where like family we would go to heaven. That was never true. Read “my sheep listen to my voice” and you will see this. LIES LIES LIES The pastors in la, denver, NY claim they dont know about what’s going on. They are all liars and are responsible for the misinformation you all recive in order to cover this up. Why else would the LA pastor get out all our books during a sermon and tell us the copyrights of the books belonge to WMSCOG and talk of a lawsuit in korea with another church. I tell you he was talking about the court case between the NCPCOG and the WMSCOG over a book written by ASH. Why would god come to the earth and start three or four chuches with conflicting teachings? The WMSCOG which was the ASH witness association started in 1985. In fact ASH never completed the 37 years. Many would be missing because the WMSCOG can not combine there history with the NCPCOG because the NCPCOG worships jesus crist not ASH and zhang. The WMSCOG writes a statement that they dont want to be considered like other Christian churches but a new religion, making it clear by there own statement. @DUPED @JUBILEE & other former members I agree with T.H. Jesus died for our sins, but can Duped or Jubilee or any former member help me figure this out. The sabbath is in the bible, so where do we go from here, I still want to follow and obey true God’s command, but where shall I keep the sabbath, @ the 7 day adventist? @ home @ a jewish church, seriously where do I go. And what about God’s feast, the bible says Jesus did not come to abolish but to fulfill, this is why I also believe in the passover, so where do we go, does anyone know of any church that keeps all of these, or did I miss something in the N.T. I just want to follow my True Creator, the King of Kings and, Lord of Lord’s, where can I find his true church! 😥 I feel so lost I am a lost, hungry, cold, sheep looking for my shepards barn! Hello LOST SHEEP and thank you for commenting. Those are all good questions! Please re-post your question in the forum in order to make the communication easier to manage. The discussion may be a little to long to have below an article. Hi Ed, I live in your area and would like to talk to you about helping others trapped in the church. If you could email me at butgod0000 AT gmail [.] com I would greatly appreciate it! I have been studying this church since a friend’s wife joined and started spewing this nonsense. I would suggest that you first read St. Paul’s letter to the Galatians. Yes the same one they quote from Gal 4:26, 28, 31 etc to claim mother god. It is crystal clear from the letter that Paul condemns those who want to get to heaven based on Jewish practices of the law. The have completely missed the context of Gal 4:26 et al. When Jesus lived, died and rose again, he fulfilled the law. That is what he meant. He kept the law while he lived because he was under the law, being born a Jew and had to remain under the law till his death to overcome the effects of the law. That church is a complete mockery of Christianity. How can i get itn touch with you since i’m in a very desperated situation. My wife is attending this fake church. She doesn’t want to see this website with these excellent information. Waiting to contact you soon. My brothers and sisters. Another possibility for helping them seek the truth is asking them to search online for the oldest known scriptures nearest to the original text they’ll find out it’s the King James Version. Try that once they start reading The Word of God can change them. We have to remember the Word of God said family is evil. Even though they might be blood related were bound with a deeper spiritual connection with God. All we can do is pray for mercy. I know that may have seemed harsh but “Sugar coated preaching is dangerous to your soul”. Be patient my brothers and sisters await patiently for when the time the Son of God reveals himself. What have they shared with you so far and how long have they been in this group?